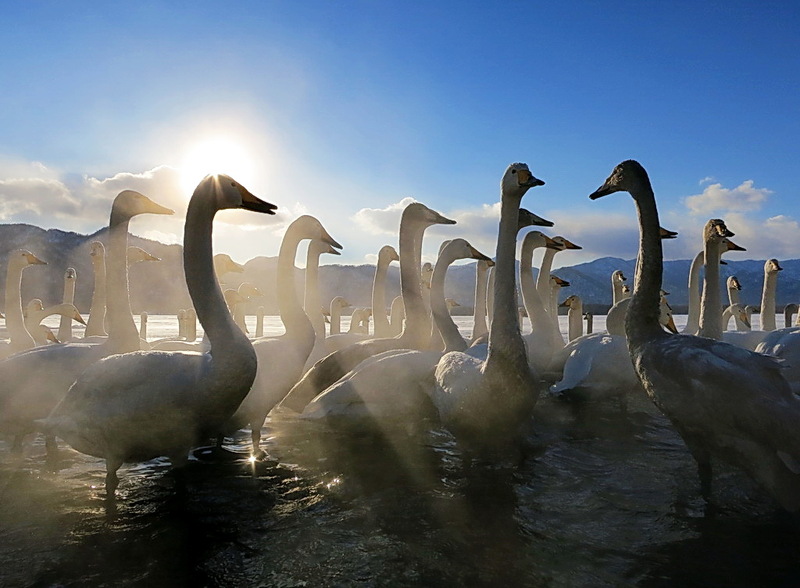 Iceland, thanks to its remote location and harsh winters, has a relatively small population, leaving vast parts of this island nation untouched. Some amazing scenery of glaciers, volcanic peaks, steep cliffs, waterfalls, and steaming geysers make this an amazing panorama for a birding destination. 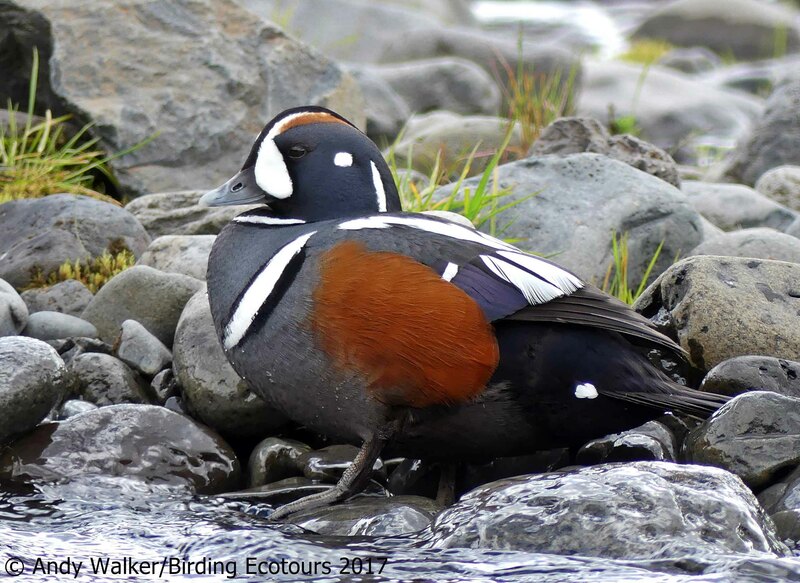 On this ‘Birding Tour Iceland’ adventure, you’ll see it all! 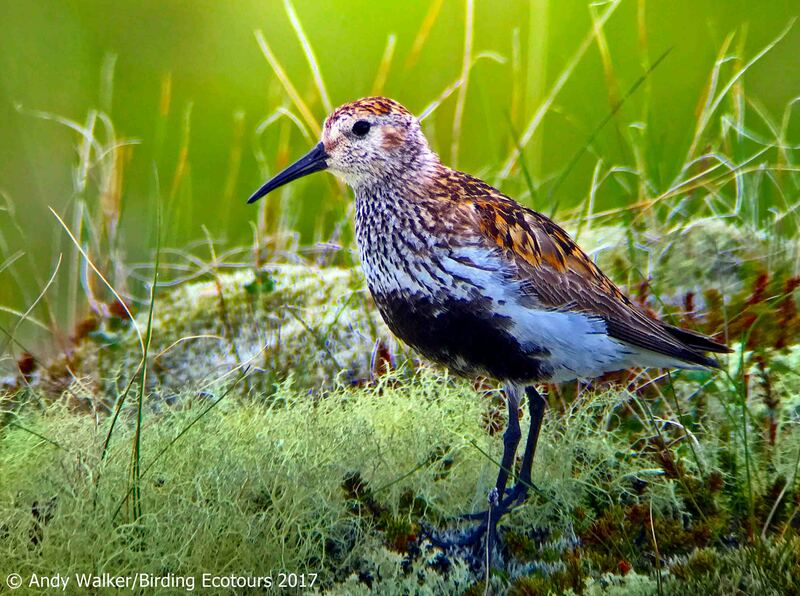 Along with the stunning scenery you find a host of Eurasian breeding birds that make this place home for the summer. 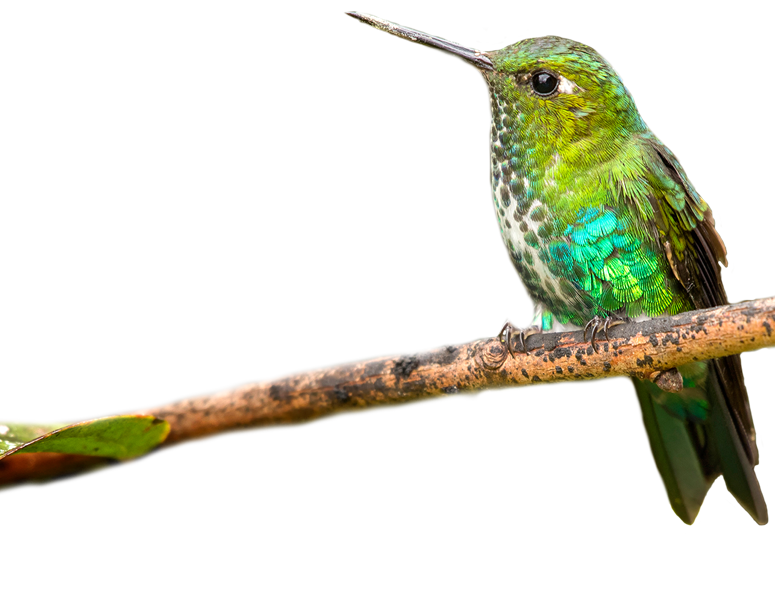 With abundant, almost constant sunlight during the middle of summer, the birds are active all day. 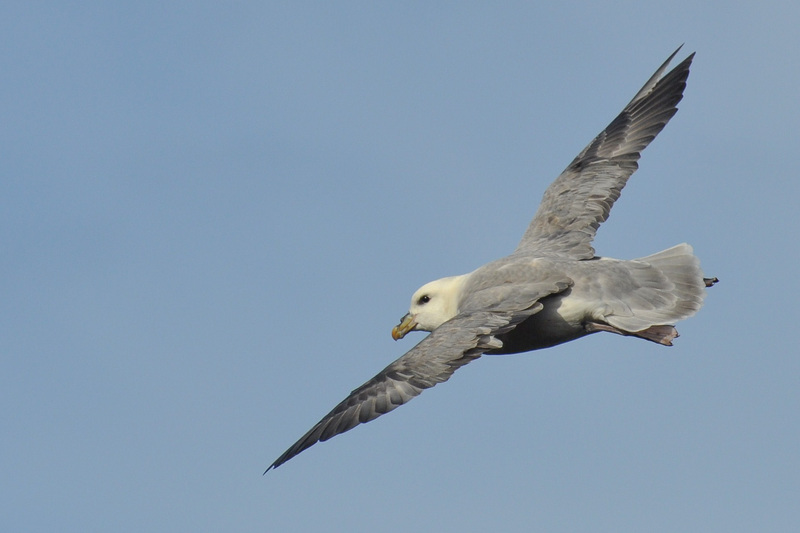 Observing cliffs packed with breeding alcids and gulls is an amazing sight. Along with breeding plumage in many shorebirds and loons, which are often only seen in their drab winter plumage further south, this makes for a true birders’ and photographers’ paradise. 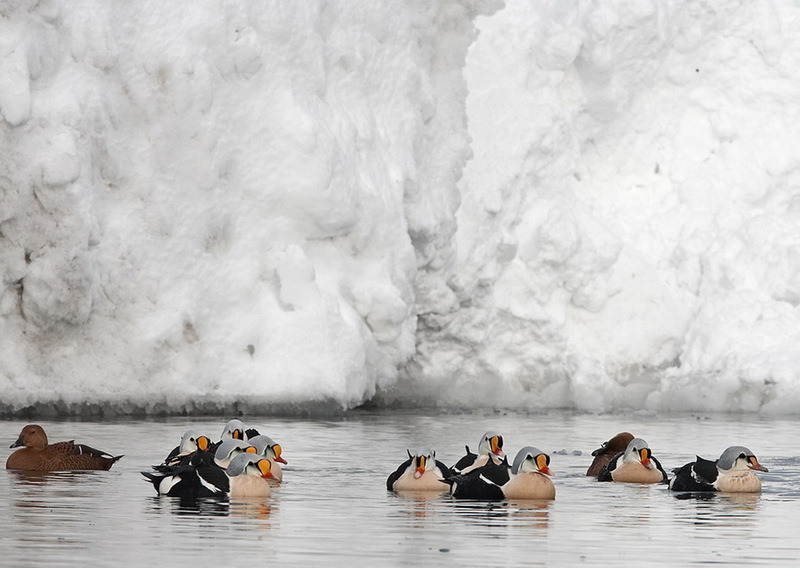 Not to mention that off Húsavík exists some of the best whale watching in Europe! 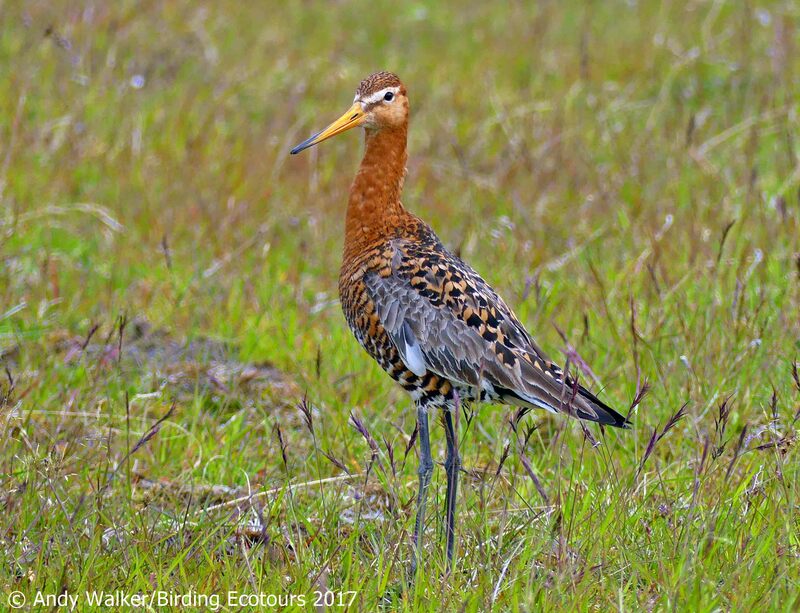 With a major ring road circling the country, we’ll take time along its breadth to take in many stunning birds – not only from vehicles but also from several boats and even a tractor. 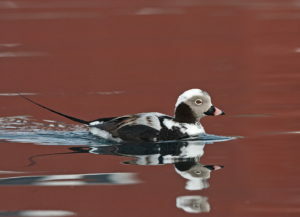 We look forward to welcoming you to Birding Tour Iceland. The tour will commence from Reykjavík-Keflavík International Airport at noon. 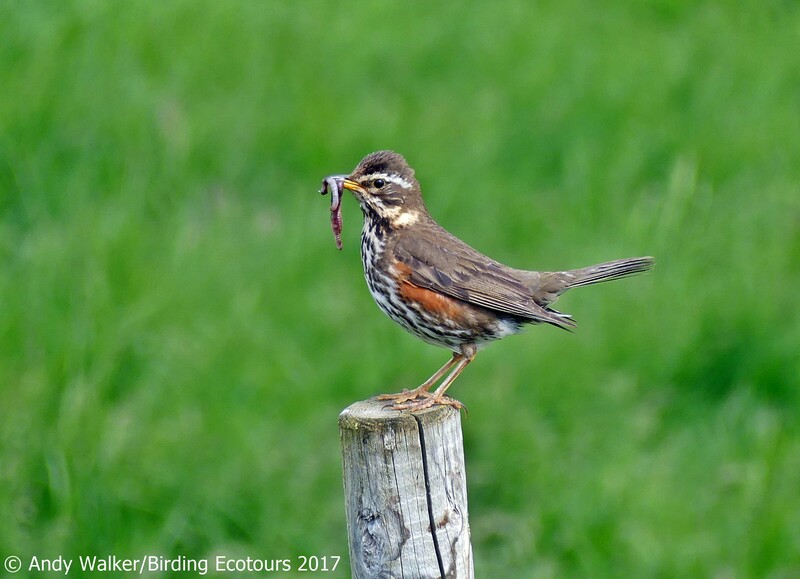 Guests arriving in the morning will be met at the airport; if you are arriving the night before the tour we can arrange nearby accommodation for you. 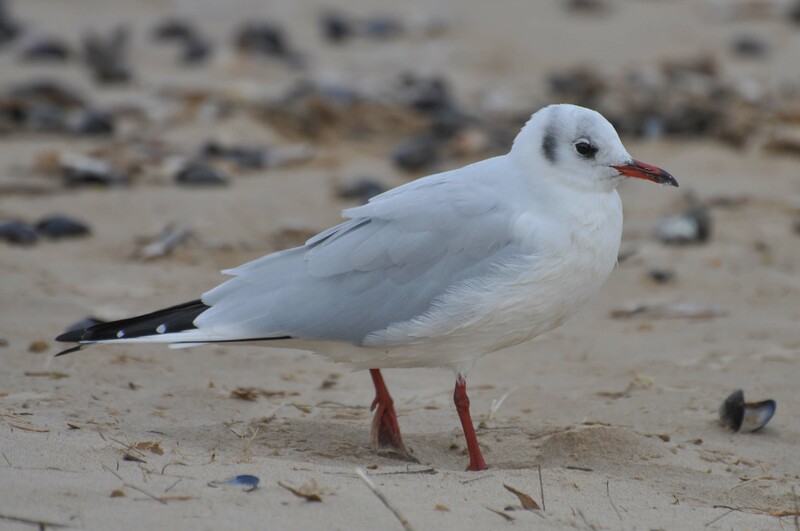 Depending on arrival times there may be some optional birding near the airport, where we will get our trip lists going, maybe with Glaucous Gull, Snow Bunting, Arctic Tern, or Common Eider. 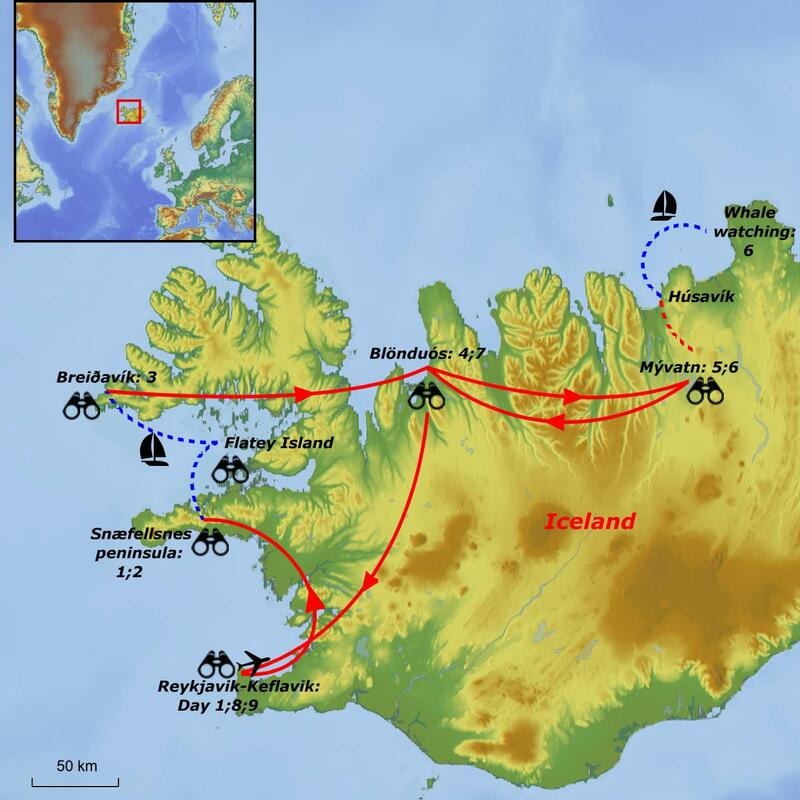 We will head north past the capital city of Reykjavík to the Snæfellsnes peninsula. Along the way we will keep our eyes peeled for White-tailed Eagle and Gyrfalcon, which can occasionally be found along this route – and if we are lucky would surely be an early trip highlight. 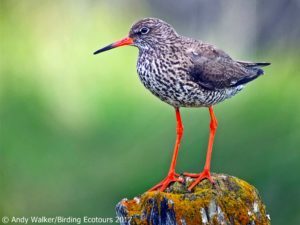 We will spend the whole day birding around the western headland of the Snæfellsnes peninsula. 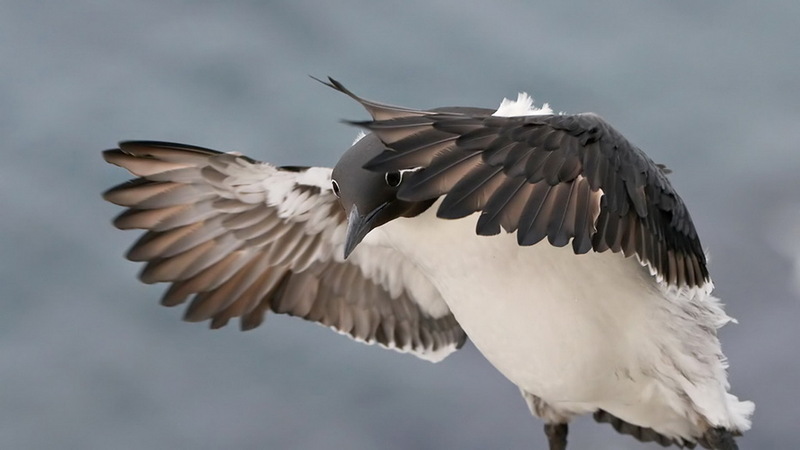 We will look at sea cliffs, where we will search for Thick-billed Murre(Brunnich’s Guillemot) among the large number of Common Murre (Common Guillemot), Razorbill, European Shag, and Black-legged Kittiwake. 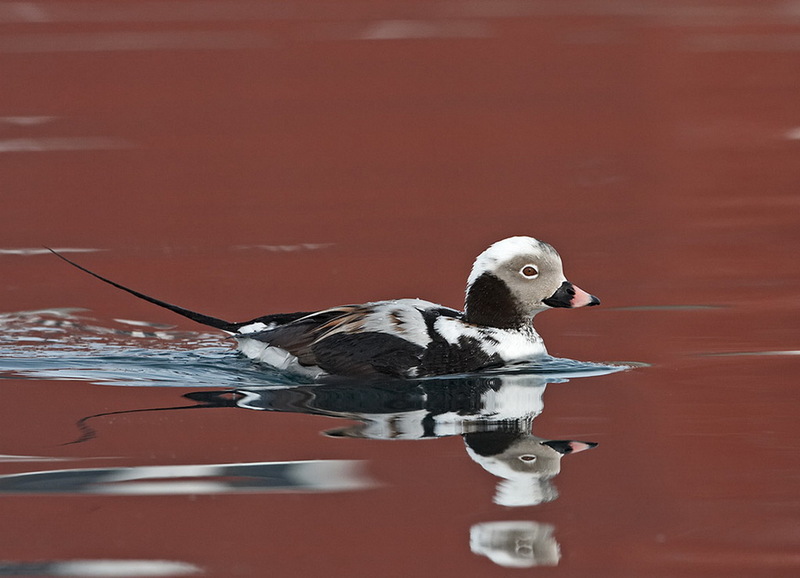 Small harbors on the peninsula may contain Black Guillemot, Glaucous Gull, European Herring Gull, and Common Eider. 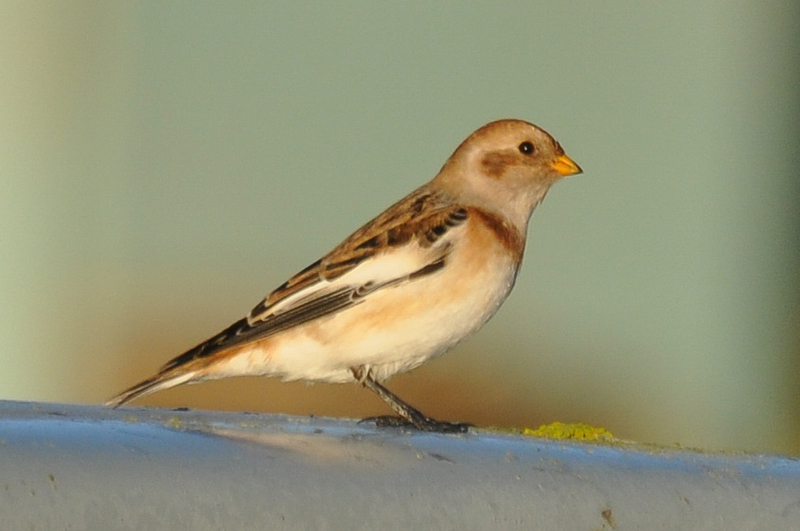 The peninsula also gives us a good chance for finding Rock Ptarmigan, Northern Wheatear, Snow Bunting, and Merlin. We’ll drive across to Stykkisshólmur to catch the ferry to Flatey Island. 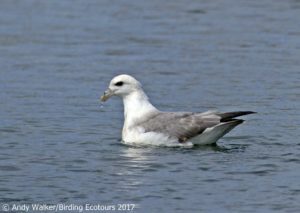 Around the docks we should see plenty of Common Eider, Arctic Tern, Common Murre, Atlantic Puffin, and loads of larids like Glaucous, Great Black-backed, Black-headed, and European Herring Gulls plus plenty of Black-legged Kittiwakes. From the ferry we have a chance for Parasitic Jaeger (Arctic Skua), though at this time of year they are just as likely to be seen cruising over fields as they are over the sea. 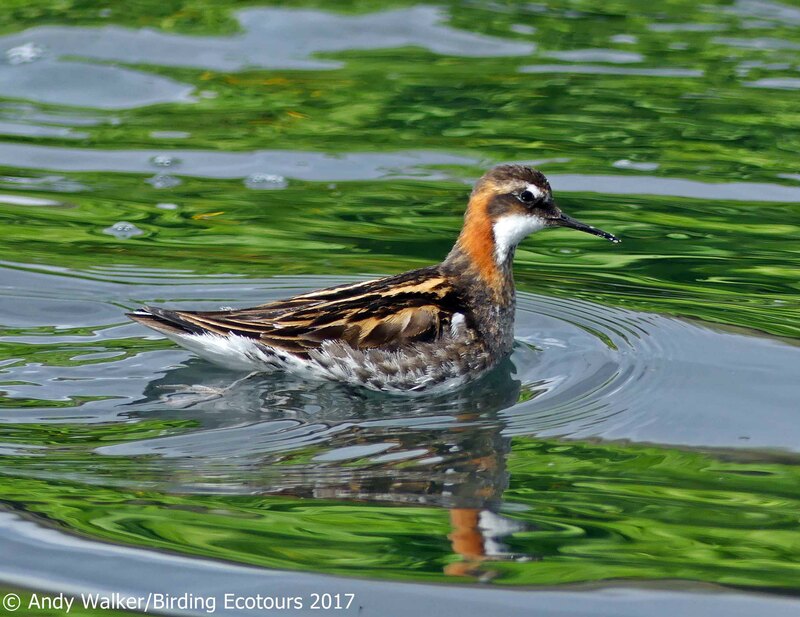 When we arrive at Flatey Island we’ll have the chance to look around for our main target, Red (Grey) Phalarope. 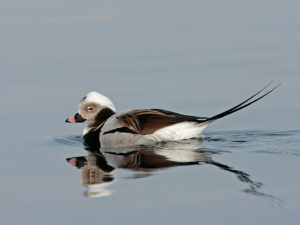 This is one of the few places they breed in Iceland, and although the breeding area is closed during the breeding season, there is still a good chance to find them in the local area. 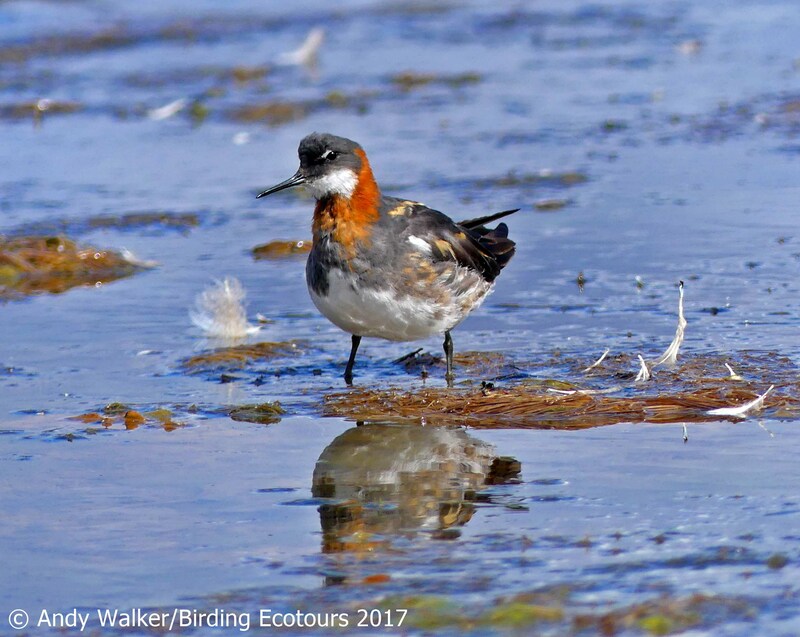 Flatey also provides us with the opportunity to see the much more common Red-necked Phalarope plus other shorebirds like European Golden Plover, Ruddy Turnstone, Common Snipe, Dunlin, and Common Ringed Plover. This area is also good for Snow Bunting and Meadow Pipit. From Flatey we’ll catch the afternoon ferry to Breiðafjörður and drive to Breiðavík for the night. 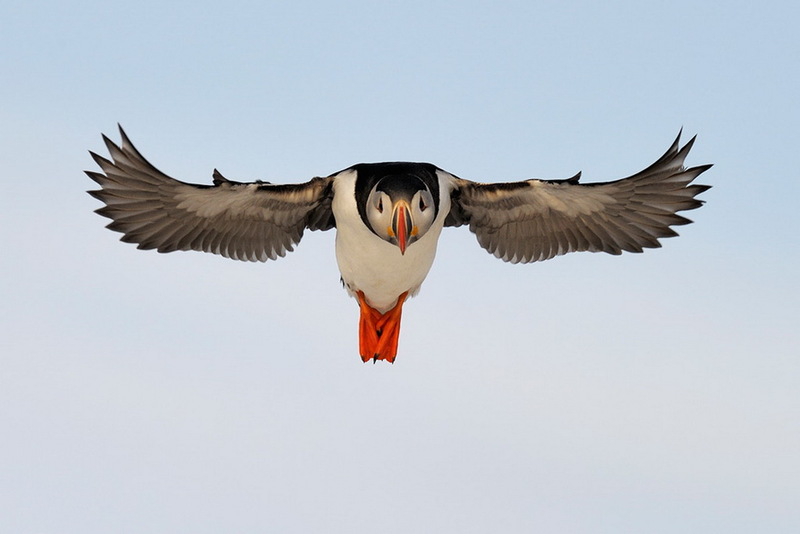 Today we’ll visit the amazing Látrabjarg, the famous bird cliffs. 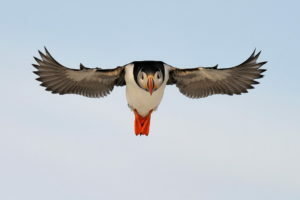 Here thousands of breeding seabirds mass along the cliffs, creating a huge racket as they jostle for position along the cliff face. 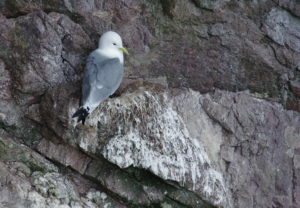 Huge numbers of Common Murre and to a lesser extent Thick-billed Murre and Razorbill breed alongside Black-legged Kittiwake and Black Guillemot.Glaucous Gull, European Shag, and Great Cormorant also squeeze in here among their noisy neighbors. 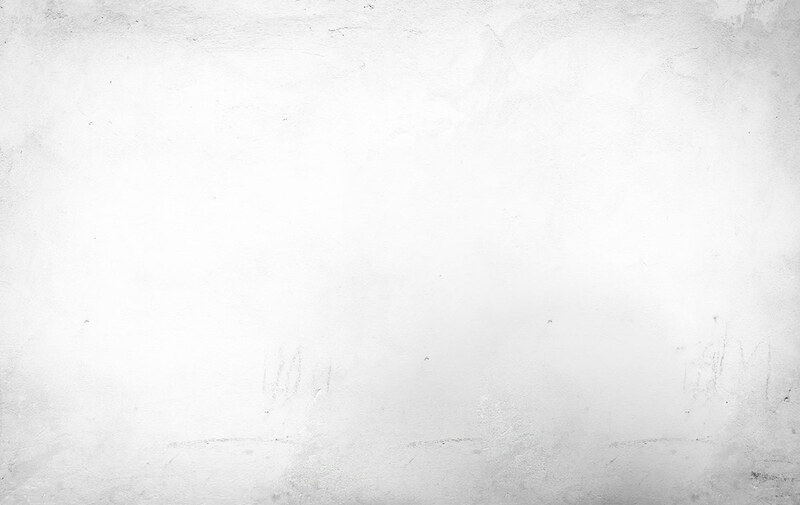 Once we’ve taken in this spectacle we’ll head for Blönduós. This town is the halfway point of our journey eastwards, and the river here provides some great birding, with species like Common and sometimes King Eider, Red-breasted Merganser, and Red-throated Loon (Diver) seen around here, along with Northern Wheatear, Meadow Pipit, White Wagtail, Dunlin, Eurasian Oystercatcher, European Golden Plover, Black-headed Gull, and Parasitic Jaeger. Today we’ll set off early and continue east to Lake Mývatn, our base for the next two nights. 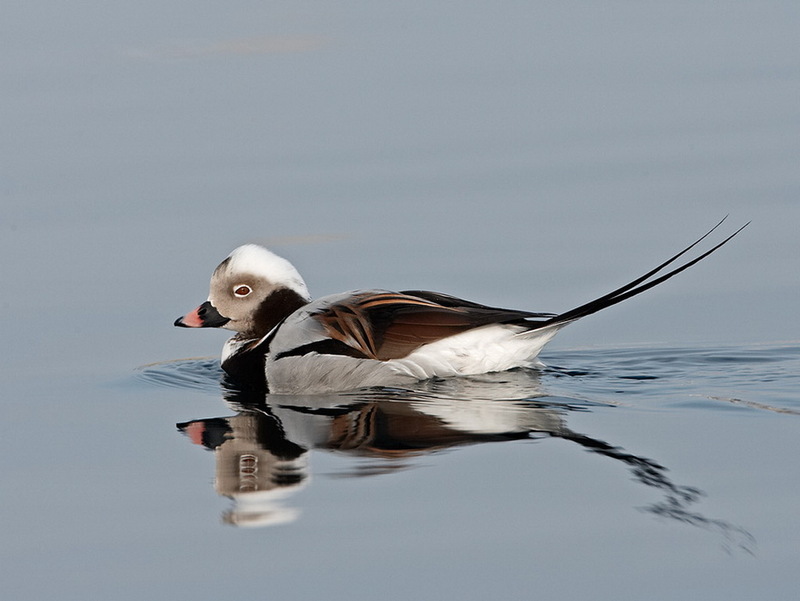 Along the way we will keep our eyes peeled for roadside Harlequin Duck and Pink-footed Goose. We will then spend the rest of the day exploring this wonderful lake that is packed full of breeding ducks. 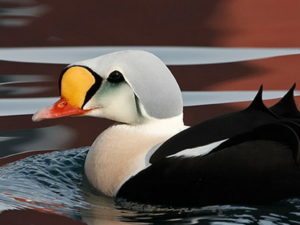 This is the center of duck habitat in Iceland and is a spectacular site. 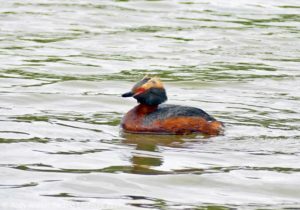 We will spend the day driving the 40km worth of road that circumnavigates the lake, making strategic stops in different areas preferred for different species. 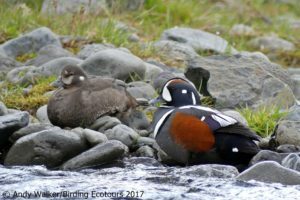 Over the course of the day we will hope to find Greylag Goose, Whooper Swan, Gadwall, Barrow’s Goldeneye, Red-breasted Merganser, Eurasian Wigeon, Harlequin Duck,Northern Shoveler, Common Teal, Long-tailed Duck, Greater Scaup, and Common Scoter. 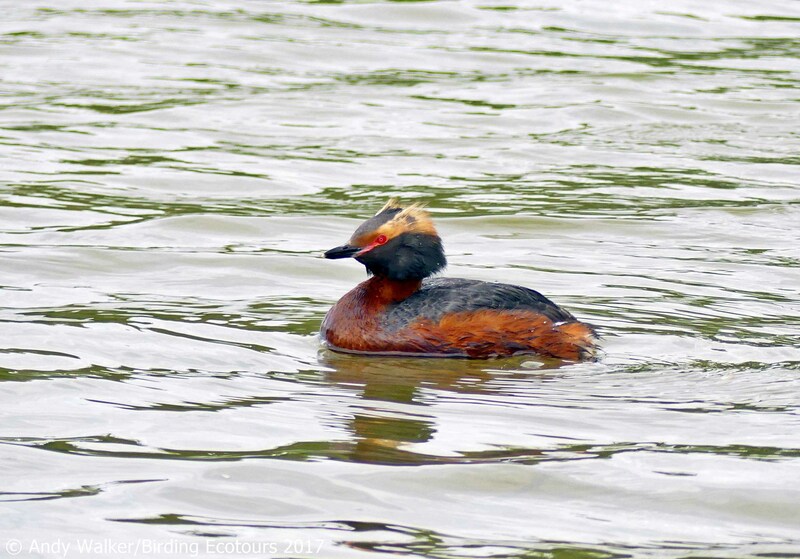 There is also a good chance for Common Loon (Great Northern Diver) and Red-throated Loon (Diver), Horned (Slavonian) Grebe, Short-eared Owl, Gyrfalcon, Merlin, Parasitic Jaeger, Redwing, Common Redpoll, Black-tailed Godwit, Dunlin,European Golden Plover, Northern Wheatear, and the endemic subspecies of Eurasian Wren. 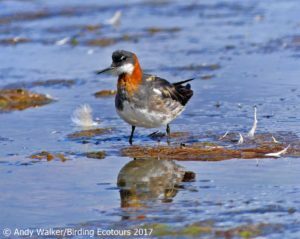 The spectacle of hundreds of Red-necked Phalaropes is sure to impress. 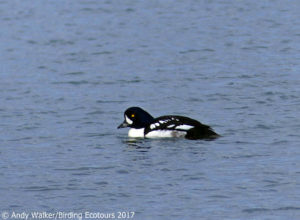 It’s also worth keeping an eye-open for vagrants; in 2017 Andy found American Wigeon and Ring-necked Duck on the lake! 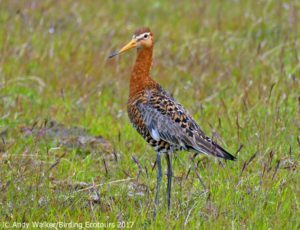 After some early-morning birding around Lake Mývatn we will head north for the day to the small harbor town of Húsavík, birding along the way. On arrival at Húsavík we’ll take a whale-watching tour into the bay. 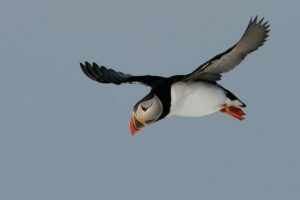 Here we’ll also have a chance to see plenty of Atlantic Puffins at another Flatey Island (no relation). 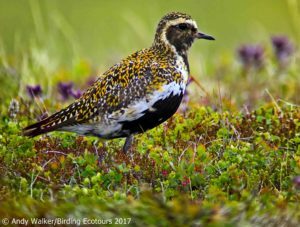 There is also a massive Arctic Ternbreeding colony here, plus Black Guillemot, Purple Sandpiper, Dunlin, Common Redshank, Red-necked Phalarope, and Snow Bunting. 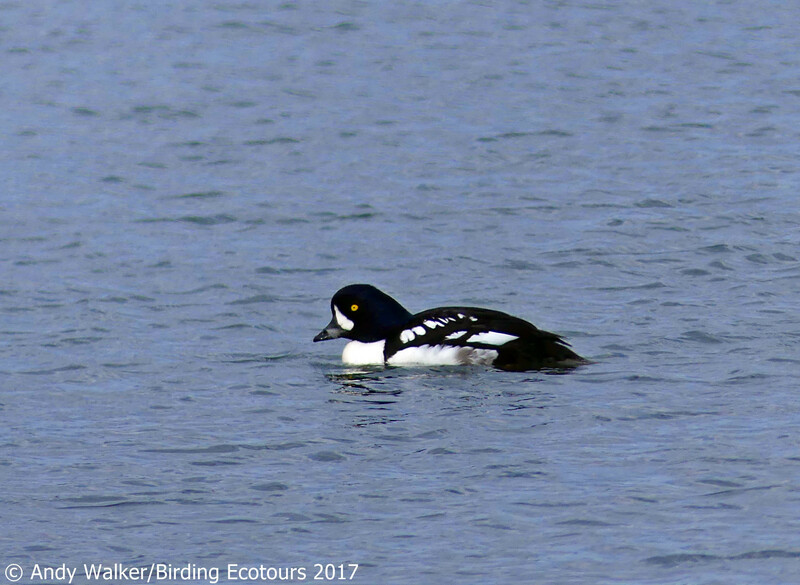 Great Skua and Parasitic Jaeger are also found from the boat, and Long-tailed Duck, Common Scoter, and Common Eider are often seen here too. 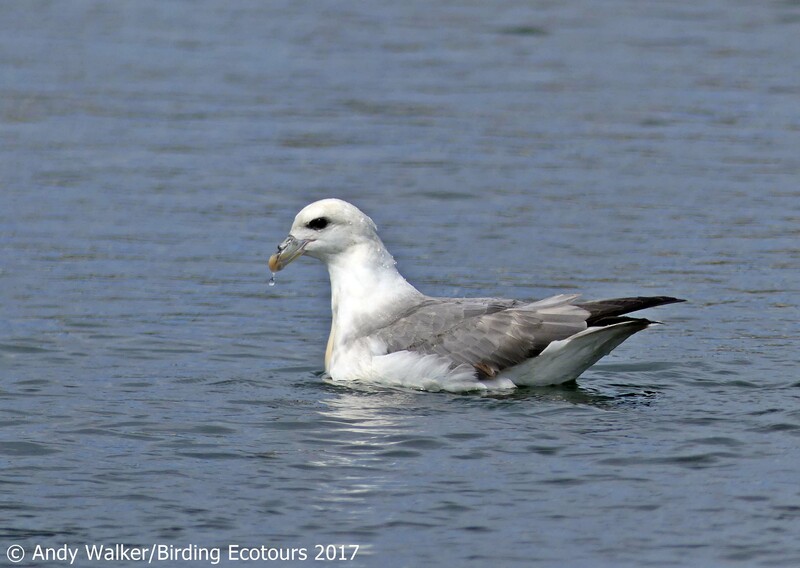 After our boat trip we’ll bird some areas around the town – this is one of the best sites in Iceland to find an over-summering Iceland Gull among the European Herring Gullsand other larids. The setting also gives great photographic opportunities of birds like Arctic Tern and Northern Fulmar against a snow-capped mountain backdrop. A small lake should give us excellent views of Common Loon and Horned Grebe as well as Black-tailed Godwit and Whimbrel. 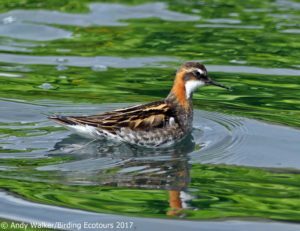 We will spend a final morning around the wonderful Lake Mývatn, maybe trying to improve on our views and photographs of some of the area’s special species such as Barrow’s Goldeneye, Harlequin Duck, Red-throated Loon, and Red-necked Phalarope. After lunch we’ll head back west towards Blönduós, where we will again spend the night to break up the journey to Reykjavík/Keflavík. Again we will be on the lookout for Harlequin Duck, Pink-footed Goose, and Gyrfalcon. This morning we’ll continue our journey back to Keflavík. 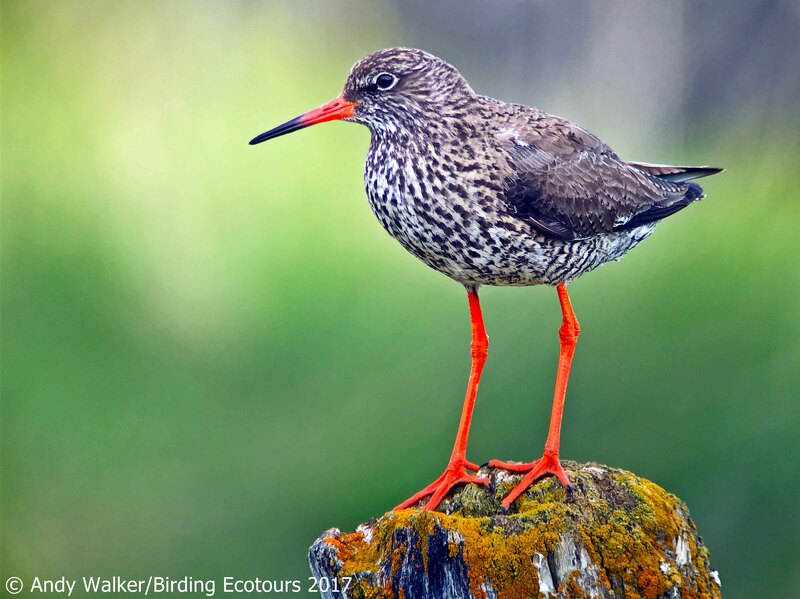 We will call in at a couple of spots for some birding along the way, estuaries that may contain a nice surprise such as a White-tailed Eagle, and if time permits we’ll also call in at Flói Nature Reserve. 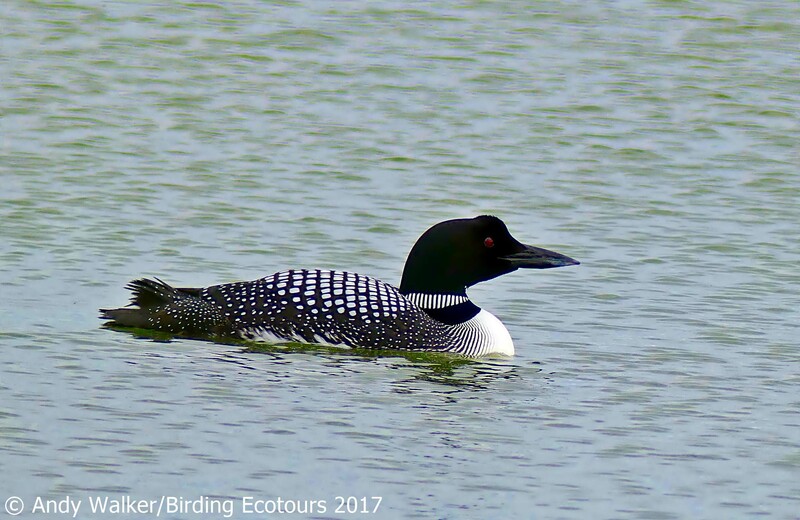 The reclaimed marsh/bog/estuary that exists here today is one of the best spots to see Red-throated Loon. 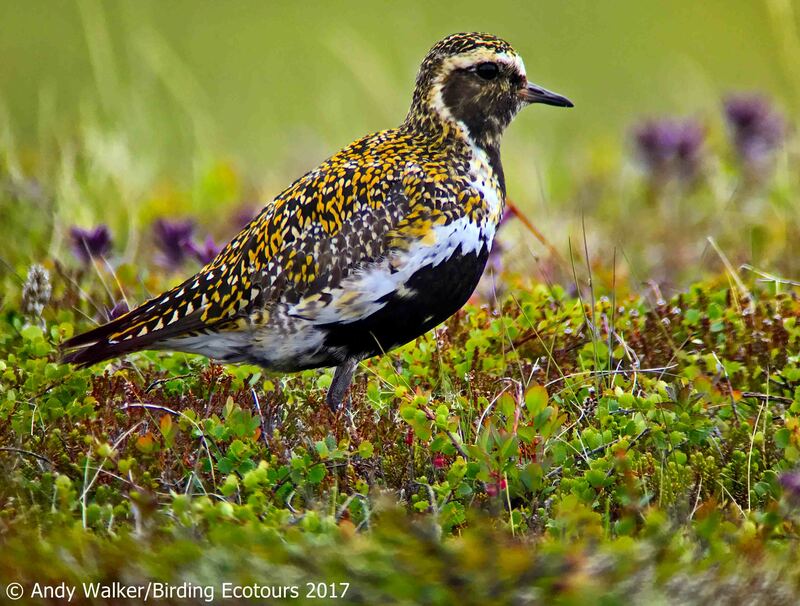 It was saved by Fuglavernd, BirdLife Iceland, and is home to breeding shorebirds like Whimbrel, Red-necked Phalarope, and Black-tailed Godwit, as well as to ducks like Common Merganser and Red-breasted Merganser, Tufted Duck, Eurasian Wigeon, and Whooper Swan. We’ll arrive in Keflavík in time for our farewell dinner. Today we transfer to Reykjavík-Keflavík International Airport for our flights home. Our small group had a great trip birding Iceland with Andy Walker.  Andy’s knowledge, tenacity, organizational skills, patience and fun personality allowed us to maximize this opportunity to see every possible bird within our range. Because of Andy’s scientific knowledge as well as field skills I learned a great deal. His enthusiasm kept us going even when the weather attempted to dampen and freeze mine! Iceland is an awesome country and Ecotours did a great job of arranging an itinerary that provided excellent food and lodging along the way. Very well organized. I’d go with this company and guide again!